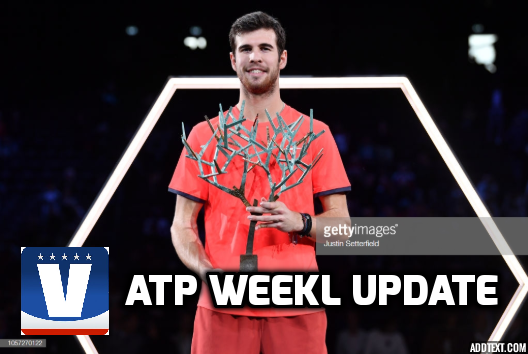 22-year-old Karen Khachanov will head into 2019 with massive expectations after beating four top-ten players in a row, including the new world number one, to claim the biggest title of his career in the final week of the ATP regular season. The regular season on the ATP World Tour is over and had one last shock in store. All but eight men saw their seasons come to an end in one last Masters 1000 event, with a young gun blowing apart some of the tour’s biggest stars to finish his season on a high note. Here is your ATP Weekly Update for the final full week of the 2018 season. The final event of the season, the BNP Paribas Masters, is known for producing some surprising results. 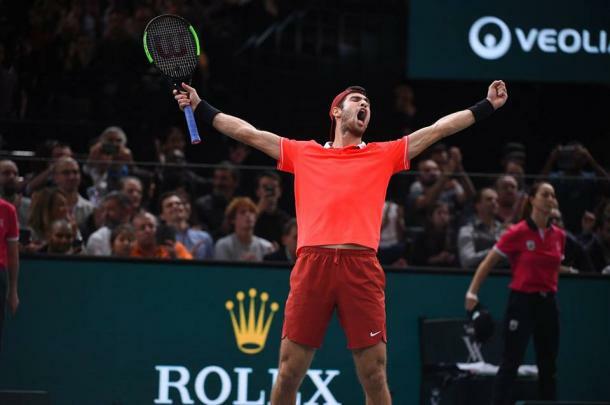 The 2018 edition proved no different, as Karen Khachanov broke through to win his first Masters 1000 title, ending the season on a high note. The 22-year-old beat four top-ten opponents in a row starting in the third round, capping off his magical season-ending run with an upset of Novak Djokovic in straight sets. Khachanov, who was victorious on home soil in Moscow just two weeks ago, kicked off his campaign by topping last year’s runner-up in Paris Filip Krajinovic. In the third round, he survived a three-set thriller with John Isner, ending the American’s London dreams 10-8 in the third set tiebreak. The Russian followed it up with blowout wins over Alexander Zverev and Dominic Thiem with a combined loss of eight games to reach his first Masters 1000 final. 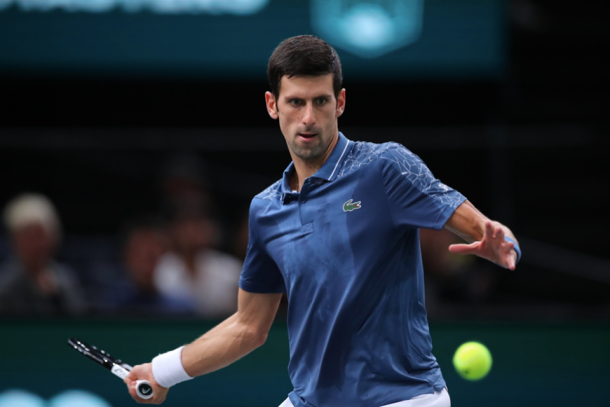 Novak Djokovic had had a fantastic week up until the final, which started by him clinching a return to number one in the world after Rafael Nadal withdrew with an abdominal injury. Djokovic, who hadn’t lost since the Rogers Cup in August, powered into his fourth straight final after a thrilling more-than-three-hour semifinal win over Roger Federer in a third set tiebreak. However, the Serb saw his 22-match winning streak snapped in the final by Khachanov, who became the third first-time Masters 1000 champion in 2018. The London field was filled up thanks to early losses by the two men chasing from outside the top eight. Marin Cilic and Dominic Thiem initially claimed the last two spots after both Kei Nishikori and John Isner failed to reach the semis (both needed to reach the final). However, during the tournament, it was announced that Juan Martin del Potro was withdrawing from London, opening up one final spot which was claimed by Nishikori, who reached the quarterfinals. 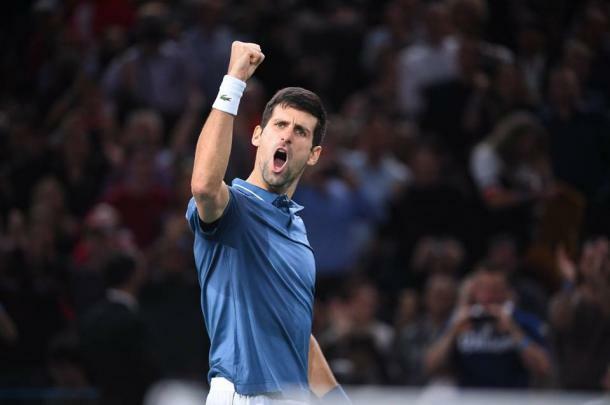 While in the end, he didn’t have to strike a single ball to do it at the final event, Novak Djokovic became the first person since 2000 to reach the number one ranking after being ranked outside the top 20 in the same year. It will be his fourth stint at number one and this coming week will be his 224th in the top spot. The Paris champion Karen Khachanov climbed seven spots to a new career-high of number 11 in the world. The tournament was a disaster for last year’s finalists. Runner-up Filip Krajinovic’s first-round loss made him fall 59 spots to number 93. 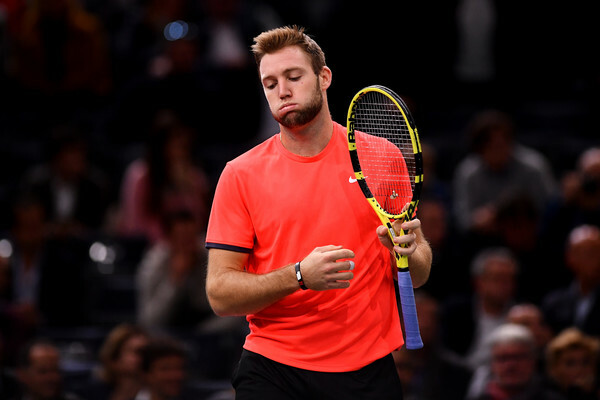 The 2018 champion, Jack Sock, actually had his best tournament of the year, winning consecutive matches for the only time in 2018, reaching the quarterfinals. However, he fell three wins short of a title defense which, combined with a failure to qualify for London, saw him fall 82 spots out of the top 100 to number 105 after starting the season at number eight. The London field is now complete, with Marin Cilic, Dominic Thiem, and Kei Nishikori all booking their spots. Cilic and Thiem managed to grab the seventh and eighth spots, while Nishikori caught a major break when Juan Martin del Potro withdrew with a knee injury, allowing the ninth-place Nishikori to claim the final spot. John Isner’s third-round loss meant his career-best season was not enough to qualify for the ATP Finals. However, all hope may not be lost for the American, as there are serious questions about the likelihood of Rafael Nadal’s participation. Should the world number two withdraw, Isner would get in. There are no tournaments on the schedule this week on the ATP World Tour. The next event is the ATP Finals which starts on Sunday, which means your next ATP Weekly Update will come out on Saturday.